I love coffee! And therefor I was even more thrilled to work with one of Hamburgs finest roasters the time-honored „Speicherstadt Kaffeerösterei“. 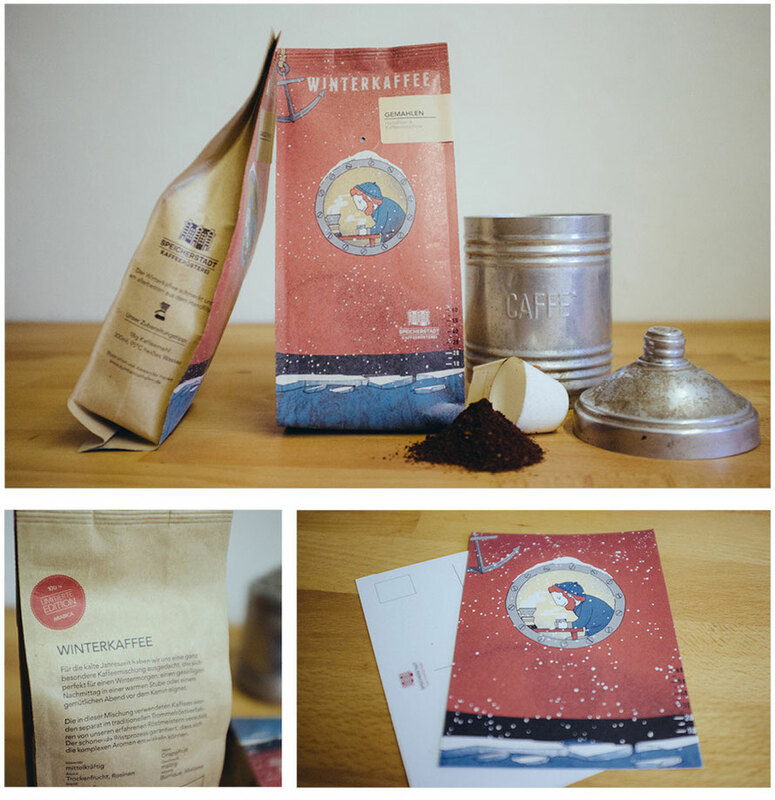 Each winter they roast a special blend that fits this time of the year and therefor the package should suit it as well. I created the main illustration as well as some icons for the pack.